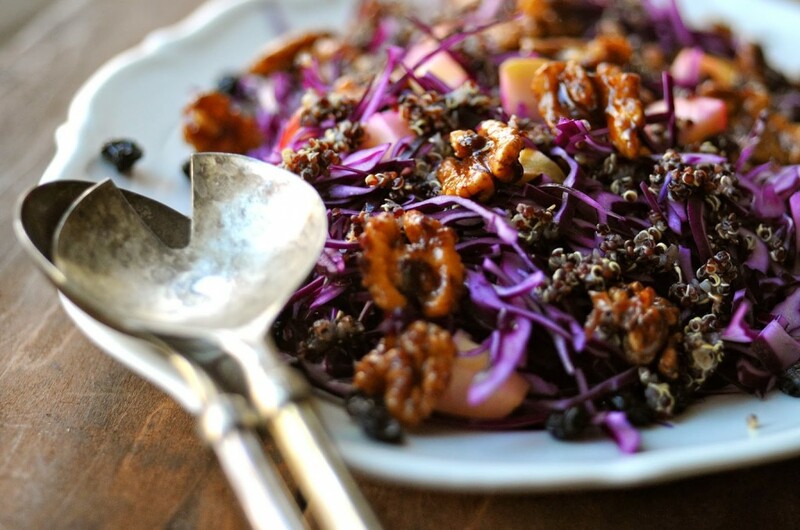 Add the cooled quinoa into the red cabbage mixture and toss together. We eat a lot of cabbage in Denmark and red cabbage is one of our all time favorites. I think I eat cabbage at least once a week, because it gives a great crunch to my salads. Red cabbage contains a lot of fibres that is good for you and not least your stomach. 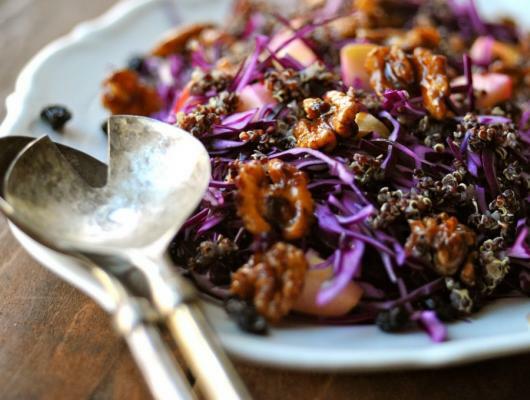 For this salad I have also added red quinoa, apples, dried blueberries and cinnamon walnuts. All ingredients that are healthy and nutritious. The cinnamon walnuts can also be eaten as a snack or included on a cheese plate. But I have to warn you, they are very addictive! This salad goes perfect with some pork chops or even a roast pork with crackling, which is also a sort of a national dish in Denmark.